I am social media worker. I am working here from 6 years. We have team. We can manage a lot of order at a time. Our service don't harm your site at all. It's a manual service done by human and they are my nearest best friend we run this service for long time. Signals comes from all over the world. All accounts are real and active. Your satisfaction is our proud. So for your satisfaction we are here 24 hours. I accept all kinds of site except adult site. 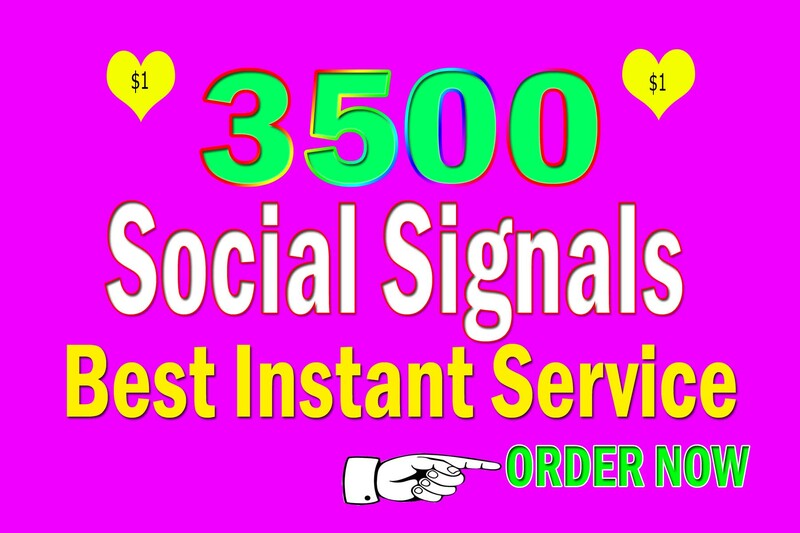 3500 Drip Feed And Website Mixer Social Signals is ranked 5 out of 5. Based on 60 user reviews.